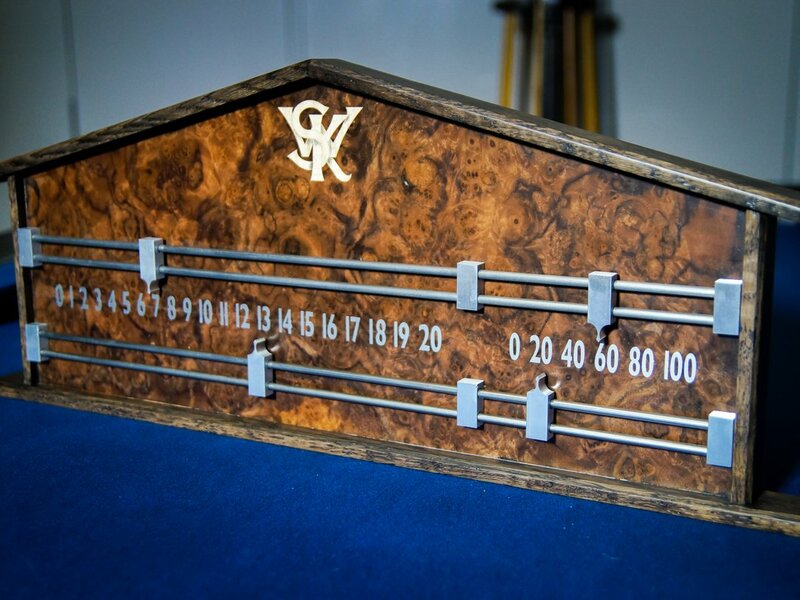 The beauty of bespoke – adding a detail to truly personalise your design. 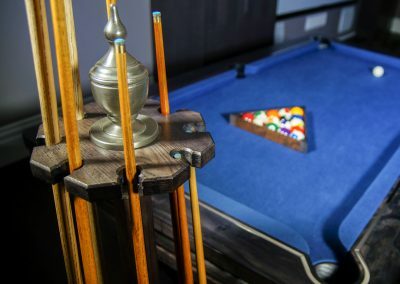 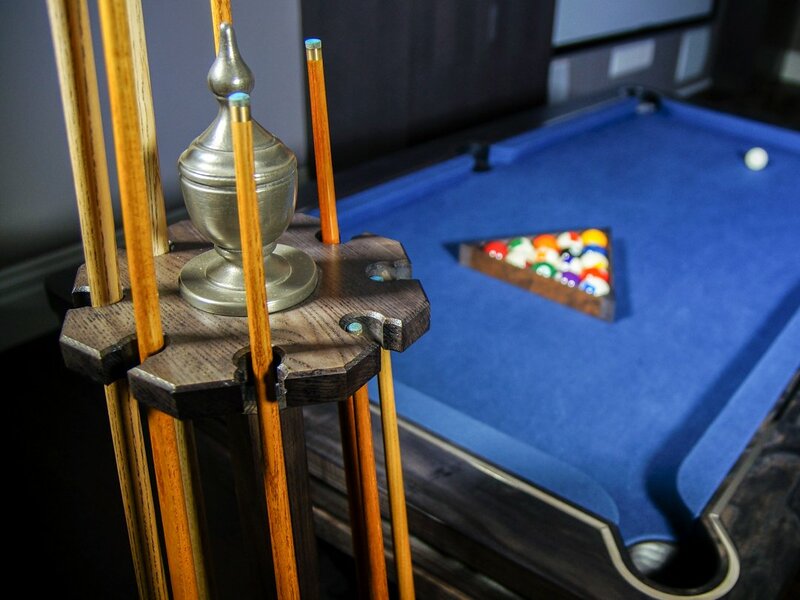 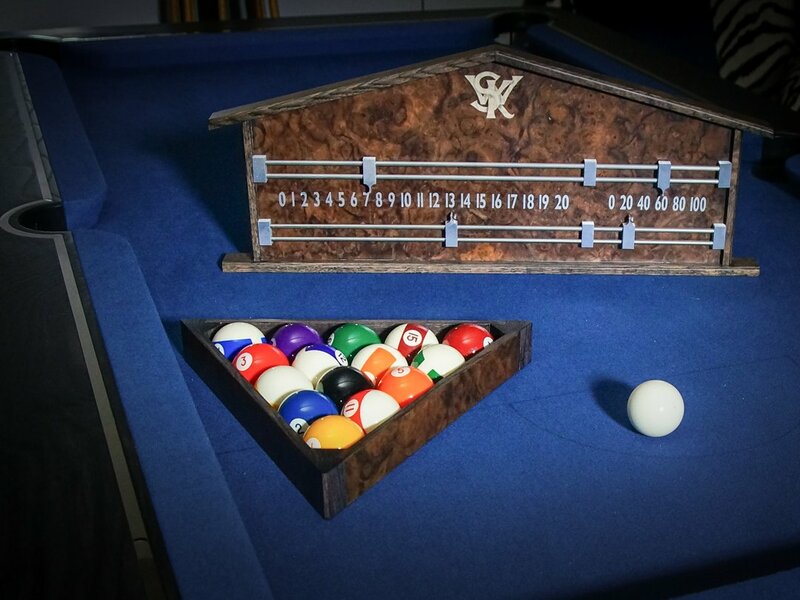 This Pool & Snooker accessory set was made from solid ash, stained gray and hand-veneered with beautiful burr-walnut. 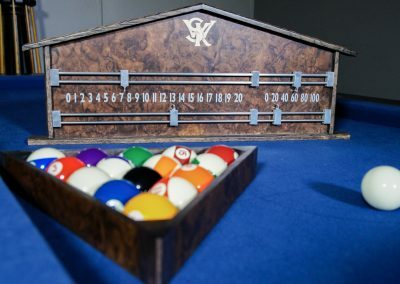 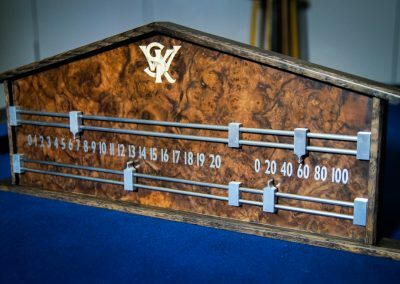 The set included a Bentley Pediment cue-rack with steel finial, hand-jointed triangle and a Pediment scoreboard with milled aluminium rails & pointers, inlaid with the clients initals.